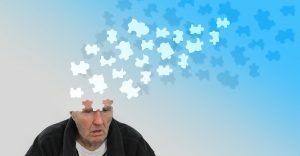 In a recent report from the Alzheimer’s Association it was noted that in the United States, 15% to 20% of adults over the age of 65 suffer from mild cognitive impairment (MCI). Individuals suffering from MCI have a far greater risk of developing Alzheimer’s disease or dementia. Mild cognitive impairment denotes a decline in standard cognitive function. In particular, it is characterized by weakened reasoning abilities and memory function. Since, as mentioned above, MCI is often a precursor for more severe forms of mental decline, the ability to reverse or halt the progress of MCI is extremely important. New research led by Dr. James Blumenthal of Duke University Medical Center in Durham, NC, indicates that MCI may indeed be reversible. The team’s research was published in the journal Neurology. Dr. Blumenthal and his colleagues analyzed the effects of specific lifestyle changes on 160 people over the age of 65. At the beginning of the study all the participants had symptoms of MCI, were leading completely sedentary lives, and also had risk factors for cardiovascular disease. One group did not change their diet, but undertook a 45-minute aerobic exercise routine three times per week. Dr. Blumenthal and his team measured the reasoning and memory skills of the participants both at the beginning of the study and six months later, using standard cognitive tests. They also measured the cardiovascular and respiratory fitness of the participants using a treadmill stress test, and blood tests to measure the participants’ blood pressure, blood sugar, and lipid levels. The startling results of this study revealed a five-point average increase in the executive function skills among the people in group 3 who followed both a proper diet and exercise routine in comparison to both groups 1 and 2 who did not change both their diet and exercise routines, even though they changed one of them. As might be expected, the participants in group four experienced the least positive benefit. Dr. Blumenthal and his colleagues pointed out that these results are both exciting and encouraging, since in just six months the addition of regular exercise and proper diet allowed people with cognitive impairments to improve their ability to complete cognitive tasks. In more concrete terms, the researchers revealed that at the beginning of the study the average participant’s executive function score equaled the executive function levels associated with individuals 93 years old, even though their actual age was approximately 28 years younger. However, within just six months of changing their diet and exercise routines, the participants in group 3 demonstrated a nine-year improvement in executive function. Further research is needed to determine if longer periods of time will correlate to greater degrees of improvement. Studies are currently underway which utilize a larger sample size and are intended to take place over a longer period of time in order to determine the answer to this important question. At Hamilton Grove Healthcare and Rehabilitation Center, in Hamilton, NJ, we are experts in handling all levels of cognitive impairment, from MCI to Alzheimer’s and other dementias.